#4 Mansfield, 75 vs. #13 New Bedford, 51 – Final – Sam Goldberg scored a game-high 16 points and hauled in 11 rebounds as Mansfield battled back from a first quarter deficit. Matt Ehrlich added 13 points, including 12 in the vital second quarter rally. Christian Weber added 12 points and Nick Baskin chipped in with 10 points. #7 Taunton, 83 vs. #10 Plymouth South, 54 – Final – Jose Mercado scored 28 points in just three quarters of play because of foul trouble to lead the Tigers. Along with Mercado’s 28 points, junior Quan Roberson had a double-double with 16 points and was a big factor on the boards with 10 rebounds. 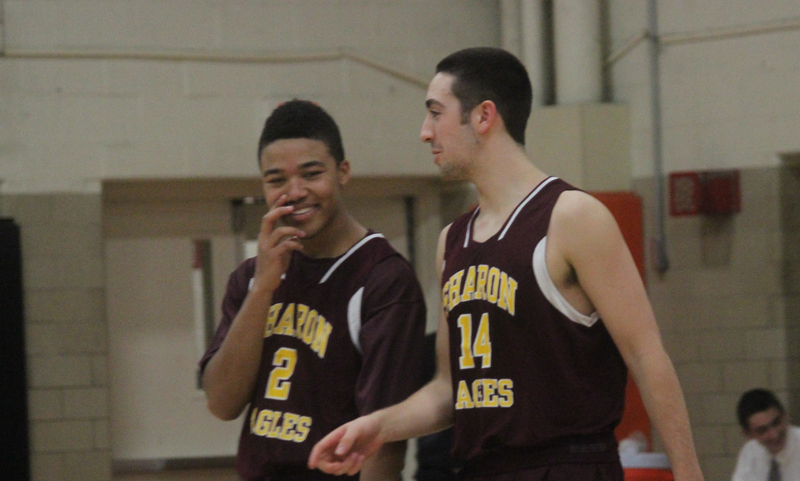 Carlos Borrero and Tommy MacLean each had 10 points while they combined for 13 assists. Brevan Walker and Lens Esquil combined for 15 points off the bench. #3 Foxboro, 68 vs. #14 Nauset, 53 – Final – Foxboro grabbed a lead after the first quarter, grew it by halftime and stretched it to as much as 20 points in the second half. Senior Jason Procaccini scored a team-high 15 points while classmates Rob Lowey added 15 points and Jonathan Carnino had 11 points. #15 Sharon, 52 @ #2 Whitman-Hanson, 54 – Final – Sharon used a full court press to come back from a double-digit first half deficit and take its first lead, 50-49, with 2:25 to play. The Eagles were unable to take the lead in a tie game and the Panthers sank two free throws with 0.2 seconds left to get the win. Mitchell Sirota led Sharon with career-high 17 points and Tyler Smith added 11 points. Attleboro, 57 @ Sharon, 73 – Final – Attleboro cut a 10-point Sharon lead at halftime down to two in the third quarter but the Eagles were able to pull away. Sharon hit 12 three pointers between three players – senior Matt Lowerre hit five, sophomore Jimmy Fitzhenry hit four and senior Tyler Smith had three. Fitzhenry finished with a game-high 20 points and Lowerre had 17 points. Attleboro junior Jake Dunkley had 19 points and nine rebounds and sophomore Nate Douglas chipped in with 11 points and five rebounds. King Philip, 66 @ Canton, 53 – Final – King Philip stormed out to a 20-8 lead at the end of the first quarter and never looked back. Senior Ben Smith his six three pointers for a game-high 18 points, freshman Kyle Layman had 15 points and eight rebounds, junior Noah Goodwin had 13 points and junior Pharoah Davis had 12 points. Canton senior Griffin Jerrier scored a team-high 13 points for the Bulldogs. Mansfield, 51 @ Foxboro, 69 – Final – Foxboro used an 11-0 run in the middle of the second quarter to create separation while its defense prevent Mansfield from gathering any momentum offensively. 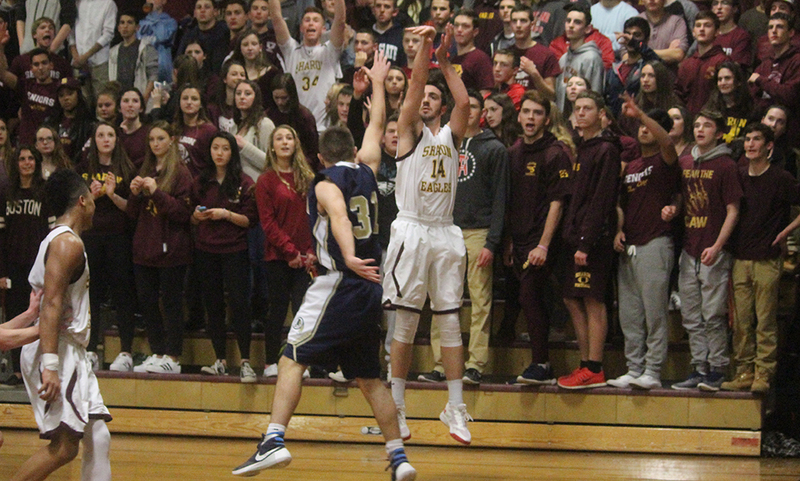 Foxboro senior Alex DuBrow scored a game-high 22 points and had eight rebounds, senior Rob Lowey had 16 points and eight rebounds and senior Jason Procaccini added 14 points and five rebounds. 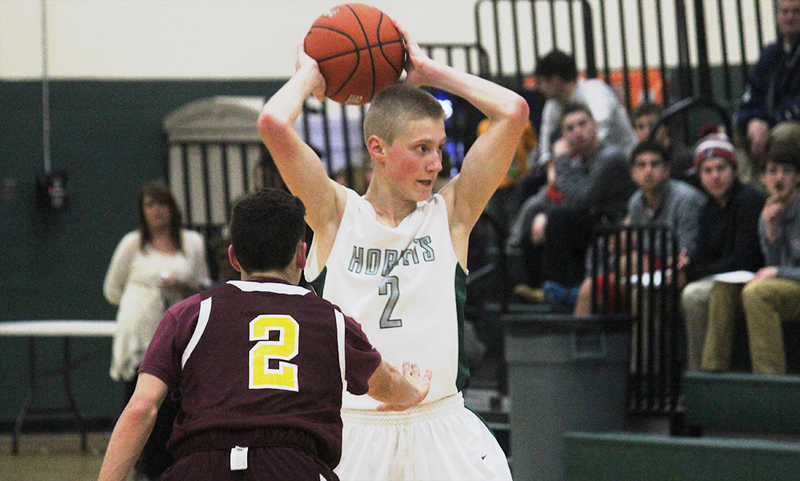 Mansfield junior Sam Goldberg had 10 points to lead the Hornets. Franklin, 83 @ Stoughton, 63 – Final – The Panthers held a six point lead at halftime (41-35) as the two teams combined for over 75 points in the first half. Franklin had a 23 point third quarter and added 19 more points in the final quarter. Sophomore Connor Peterson had a game-high 16 points while senior Tim Prunier and freshman Jay Dieterle each added 15 points for Franklin. Stoughton senior Brandon Teixeira had a team-high 14 points for the Black Knights. Taunton, 62 @ Milford, 50 – Final – Milford held a four point lead at halftime and at the end of the third quarter but Taunton won the fourth quarter 29-13 to get the win. Taunton junior Tommy MacLean scored 20 points in the win for the Tigers. Milford sophomore Kayden Kelley had 14 points and 15 rebounds, Dimitry Torres added 11 points and Dwight Anderson had 13 points and 10 rebounds for the Scarlet Hawks. North Attleboro, 74 @ Oliver Ames, 70 – Final – Brent Doherty scored a career-high 28 points to lead the Rocketeers. North Attleboro held a 20 point lead at halftime (44-24) but Oliver Ames stormed back with 25 points in the third quarter and 13 more in the fourth quarter to send the game into overtime tied 62-62-. Doherty connected on seven three pointers and went 3/4 from the free throw line in overtime. Sophomore Mario Bresko finished with seven points, including a key three pointer in overtime. Junior Jonny Friberg scored a career-high 18 points and had 10 rebounds for North. Oliver Ames’ Carter Evin scored 21 of his career-high 26 points in the second half to help OA get back into it. Tim Kelley added 23 points and senior Shawn Cardoza had nine points for the Tigers. Canton, 38 @ King Philip, 56 – Final – The Warriors turned the game around with a 22-4 second quarter. Shannon O’Connor was the top scorer for KP with 10. Sam Madden and Julia Lerouix each scored nine for the Warriors. Canton was led by Emma Murphy with nine points. Foxboro, 45 @ Mansfield, 49 – Final – Jen Peel was Mansfield’s top scorer with 14 points. Juliana Newell added 10 points and pulled in 12 rebounds and Meg Hill grabbed 14 boards. Cassidy Harrison had a game-high 19 points to lead the Warriors. Stoughton, 35 @ Franklin, 55 – Final – Olivia Adiletto was the top scorer for Franklin with 13 points. Lauren Rudolph added 11 for the Panthers, who had 10 players on the score sheet. Stoughton was led by Alecia Quinones with 11 points. Milford, 40 @ Taunton, 44 – Final – The Tigers rallied in the fourth quarter, outscoring Milford 14-7, to pick up their first win of the season. Alyssa Gibson led the way for Taunton with 13 points and nine rebounds. Jordan Wade added nine and Kia Pate had 10 rebounds. Milford was led by Katie Irwin with 12 points and Nicole Dahlgren added 10. Oliver Ames, 49 @ North Attleboro, 52 – Final – The Rocketeers were led by forwards Caroline Collard and Emily Peters who combined for 24 points. Julia Feid added 13 for North. The Tigers were led by Kayla Raymond with 15 points. Sharon, 35 @ Attleboro, 75 – Final – Emily Houle scored 33 points and added seven steals to pace the Bombardiers to a big win. Sarah Deyo chipped in with 19 points and 10 rebounds and Sam Pierce added another 10 points. Emma Eberhardt was Sharon’s top scorer with 14 and Veronica Wallace added 11. King Philip, 53 @ Attleboro, 69 – Final – Four different Attleboro players scored in double figures, led by Andrew Milliken’s 15 points and seven rebounds. Nate Douglas added 14 points, Jake Dunkley added 13 points and Lucas Boucicaut had 12 points. Kyle Murphy had 13 rebounds for the Bombardiers. Seth Sullivan had a team-high 12 points for King Philip. Oliver Ames, 66 @ Canton, 47 – Final – Oliver Ames senior Tim Kelley scored a game-high 17 points, junior Dylan Mahoney dropped 14 points and seniors Connor Moroney and Shawn Cardoza each scored 10 points for the Tigers. Tony Harris had a team-high 16 points for Canton. Stoughton, 41 @ Foxboro, 63 – Final – Senior Alex DuBrow dropped a game-high 18 points, senior Jonathan Carnino scored a career-high 14 points and senior Jason Procaccini scored 10 points. Brandon Teixeira had 12 points and 10 rebounds for the Black Knights. Taunton, 57 @ Franklin, 53 – Final – Taunton outscored Franklin 20-10 in the final quarter to secure the win. Five different players scored in double figures for Taunton: Quan Roberson had 14 points, Tommy MacLean had 11 points, four rebounds and seven assists, Carlos Borrero had 11 points and five assists, Dominique Smith had 11 points and six rebounds and Jose Mercado had 10 points and eight rebounds. Franklin’s Tim Prunier had 15 points and four assists, sophomore Connor Peterson had 11 points and Kevin Gill had 10 points for the Panthers. Milford, 62 @ Sharon, 55 – Final (OT) – Milford’s Anthony Arcudi came off the bench and scored a career-high 11 points, all coming in the 4th quarter and overtime. Dimitry Torres led the Scarlet Hawks with 16 points and Dwight Anderson had 12 points, including 10 from the free throw line. Ricardo Ripley had 15 points for Sharon and Tyler Smith had 12 points. North Attleboro, 43 @ Mansfield, 61 – Final – Christian Weber led Mansfield with 13 points while Phil Vigeant had nine points, Sam Goldberg and Max Boen each have eight points and Tyler Boulter had seven points. North Attleboro’s Brent Doherty had a game-high 17 points while Jonny Friberg had eight points. Canton, 21 @ Oliver Ames, 55 – Final – Sophomore Abby Reardon had a team-high 12 points and junior Francesca Calabraro chipped in with nine points for OA. Foxboro, 66 @ Stoughton, 38 – Final – Ashley Sampson paced Foxboro with 19 points, six assists and nine rebounds. Cassidy Harrison helped out with 16 points for the Warriors and Grace Tamulionis had eight points and 16 rebounds. Val Whalen had eight points and 13 rebounds for Stoughton, while Bridgette Whalen had eight points and nine rebounds. Foxboro broke open a three-point game with a 14-3 run to end the first half and 26-9 through the end of the third quarter. Franklin, 50 @ Taunton, 32 – Final – Lauren Rudolph was the top scorer for the Panthers with 15 points and Carli Koffinke added 11 for Franklin. Attleboro, 55 @ King Philip, 41 – Final – Emily Houle led the way for Attleboro in her second game back from injury with 21 points. Sarah Deyo added 18 for the Bombardiers. KP was led by Sam Madden with eight points. Mansfield, 39 @ North Attleboro, 31 – Final – Jackie Carchedi scored 19 points to lead the Hornets. Meg Hill added six points and seven rebounds for Mansfield. North was led by Emily Peters with nine points and 10 boards. Sharon, 39 @ Milford, 31 – Final – Alyssa Piazza had a double-double for the Eagles with 10 points and 10 rebounds. Sharon also got 11 points apiece from Charlotte Ransom and Emma Eberhardt and five steals from Shira Stoller. Foxboro, 65 vs. Walpole, 50 – Final – Foxboro’s Alex DuBrow scored 16 of his team-high 20 points in the second half. Jason Procaccini added 15 points and Rob Lowey chipped in with 13 points. Foxboro will take on Westwood in the finals of the Westwood 2015 Holiday Invitational on Wednesday at 2:00. Franklin, 77 @ Algonquin, 72 – Final – For the second straight game, freshman Jay Dieterle led the Panthers in scoring with 22 points. Franklin had five players reach double figures with Connor Goldstein adding 15 points, Paul Mahon scoring 12 points and Kevin Gill and Josh Macchi each scoring 10 points. Sharon, 61 vs. Tewksbury, 63 – Final – The Eagles were unable to convert the game-tying shot at the buzzer in a close game with a favorite in D2 North. Mitchell Sirota had a team-high 16 points, Matt Lowerre had 13 points and Ricardo Ripley scored 12 points. Lowerre and Tyler Smith were named tournament all stars. Oliver Ames, 47 vs. Needham, 39 – Final – Needham rallied from a 14 point halftime deficit to get within two late in the fourth quarter by free throws from Kaitlyn McCarthy and Kayla Raymond sealed the win for the Tigers. Junior Francesca Calabraro had a team-high 13 points for OA. Sharon, 49 vs. Holliston, 35 – Final – The Eagles were led by senior Alyssa Piazza and freshman Emma Eberhardt who each scored 12 points. Sharon advances to the final of the Davenport Tournament to face Sandwich. The game will also be the final night for the team’s Coaches vs. Cancer event, which is raising money for the American Cancer Society. The Eagles have raised $300 so far. Franklin, 1 @ Mount Saint Charles, 0 – Final – Jeremy Miller scored with 35 seconds left in overtime to give the Panthers the win. Franklin will play St. Joseph Collegiate (NY) on Wednesday in the championships game of the Mount St. Charles Holiday Faceoff. Lowell Tournament (Canton, Foxboro, Franklin) – Foxboro’s Matt Kelley lost a close 1-0 decision in the finals at 126. Franklin’s John Miller was 4th at 220. Framingham Tournament (Milford) – Milford came in 6th with 125 points.Nick Johnson won the 195 bracket, Nick Marcolini finished 2nd at 106, Brett Kimball was 3rd at 132, Ryan Gray was 3rd at 182, Carlos Terrinha wrestled to a 5th place finish at 113, Ryan Nesta was 6th at 170, Ian Lataille was 7th at 160 and Stan Demko finished 7th at 220. For team scores, Foxboro finished 29th with 72.5 points, Franklin finished 32nd with 68.5 points, Stoughton was 52nd with 43 points and Canton was 55th with 41 points. Attleboro, 39 @ Franklin, 72 – Final – The Panthers amped up their defense in the second half, turning a nine point lead at halftime into a 33 point win. Tim Prunier had a game-high 20 points, Paul Mahon scored 16 points and Connor Goldstein had 11 points. Attleboro’s Jake Dunkley had a team-high 16 points. King Philip, 36 @ Mansfield, 70 – Final – Mansfield hit 11 three pointers including five from junior Phil Vigeant for 15 points. Sam Goldberg added 14 points and seven rebounds and Matt Ehrlich had 10 points. Milford, 33 @ Oliver Ames, 41 – Final – Tim Kelley led Oliver Ames with nine points while head coach Don Byron said Charlie Ryan had a strong defensive game for the Tigers. Milford’s Nate Davila had a game-high 13 points for the Scarlet Hawks. North Attleboro, 76 @ Taunton, 74 – Final – North Attleboro had five players score in double digits. Brent Doherty led the Rocketeers with 20 points and five assists, Kyle Gaumond added 13 points and two rebounds, Jonny Friberg had 13 points and six assists, Tommy Reynolds finished with 12 points and four boards and Ridge Olsen had a double-double with 12 points and 15 rebounds. Stoughton, 54 @ Sharon, 64 – Final – Ricardo Ripley had a team-high 15 points for Sharon while Matt Lowerre added 14 points and Tyler Smith chipped in with 13 points. Stoughton’s Brandon Teixeira led the Black Knights with 16 points and 16 rebounds. Franklin, 43 @ Attleboro, 48 – Final – The Panthers battled back to get the Attleboro lead to as few as four points after trailing by as many as 16 in the second half. Aubrie Kutil was the top scorer for Franklin with 14 points and Lauren Rudolph chipped in with 13. Mansfield, 44 @ King Philip, 30 – Final – The Hornets improved to 3-0 with the win. Caroline Maher scored 11 points to lead Mansfield while sophomore Meg Hill just missed a triple-double with eight points, 10 rebounds, and eight blocks. Oliver Ames, 57 @ Milford, 17 – Final – Hannah Carroll, Kayla Raymond and Francesca Calabraro each scored 11 points apiece in the win for Oliver Ames. Taunton, 14 @ North Attleboro, 46 – Final – The Rocketeers were led by junior forward Caroline Collard, who scored 17 points. Taunton was led by senior Jordan Wade with three points. Sharon, 45 @ Stoughton, 57 – Final – Alecia Quinones led all scorers with 22 points, her second straight 20-point game for the Black Knights. Alyssa Piazza led the way for Sharon with 13 points, while Emma Eberhardt added 11 points and seven rebounds and Ashley Mukasa tacked on 10. Canton, 4 vs. Franklin, 2 – Final – Shaun Kirby scored a pair of goals for the Bulldogs, who came back from a goal down twice in the first period. Matt Lazaro and Jim Jenkins each scored in the third period to give the Bulldogs the win at Schneider Arena at Providence College. Adam Assad and Jeremy Miller scored the Franklin goals. Stoughton, 2 vs. Holliston, 2 – Final – Stoughton’s Mark Sheehan scored both of the goals for Stoughton. Head coach Dan Mark said freshmen AJ Scott played well in goal for the Black Knights. Cohasset Quad (Oliver Ames) – The Tigers had a strong showing, beating Silver Lake (39-30) and Cohasset (54-20) but lost a close match with defender D3 State Champion Somerset (37-31). Cobey Williamson went 2-0 with a pair of pins at 106, Liston Funai was 3-0 with two pins at 132, Anthony Berksza was 2-1 at 138, Shea O’Connor went 2-1 at 145 and Pat Mills was 2-0 at 220. Franklin, 4 @ Medway/Ashland, 2 – Final – Haley Griffin, Regan Paterson, Marlee Paterson and Kate Cashman each scored in the win for the Panthers. MANSFIELD, Mass. – A three pointer at the buzzer and an early run in the fourth quarter created enough separation as Mansfield opened the season with a 51-39 win over Sharon. After a stop, Christian Weber connected on a deep three as the buzzer sounded to end the third quarter to give Mansfield a 34-30 lead. The Hornets converted early in the fourth on a backdoor cut from Phil Vigeant and used an early 8-2 run to 42-32 lead less than three minutes into the fourth quarter. Following Vigeant’s bucket, Sharon pulled within four again on a pull up jumper from Ricardo Ripley (11 points) but Mansfield junior Max Boen converted both of his free throws on the other end. Mansfield got a stop and once again Boen got to the line. He missed the first of a one and one situation but came away with his own rebound. Vigeant missed a three pointer but sophomore came flying in and got the put back to make it 40-32. Vigeant added two more to complete the 8-2 run and create a double-digit lead. It was a slow start for both teams as they combined to go 0-12 from three in the first quarter and Mansfield held a slim 5-4 lead. The offenses took turns the second quarter. First it was the Hornets with a 12-0 run with four points from Matt Ehrlich (game-high 16 points) and Kyle Swansburg and two each from Boen and Sam Goldberg. Trailing by 13, Sharon’s offense came to life and won the final four minutes of the second quarter. Matt Lowerre’s take to the basket plus the foul was followed by a bucket from Mitchell Sirota. Lowerre then drained a three for an 8-2 run to finish the half to bring the Eagles within seven at 23-16. The Eagles continued that momentum in the third quarter. Sirota and Lowerre each scored four points and Tyler Smith added a basket in a 9-5 start to the quarter. After the Hornets got three straight points, Ricardo Ripley grabbed consecutive baskets to bring Sharon within one at 31-30. That’s when Weber hit his buzzer beater to give the momentum back. Inside of Mansfield’s big run to start the final quarter was the putback from Boulter. While the last name has been a known one over the past couple of years thanks to big brother Ryan, it was Tyler that made a big impact in his debut. From going within one point with 10 seconds remaining in the third quarter to a 10 point deficit just three minutes into the fourth quarter, the Eagles couldn’t come up with a consistent offense throughout the game. On the flip side, Mansfield found success on the offensive end with ball movement. As we’ve seen over the past couple of seasons, the Hornets were able to move the ball quickly and get points from it. 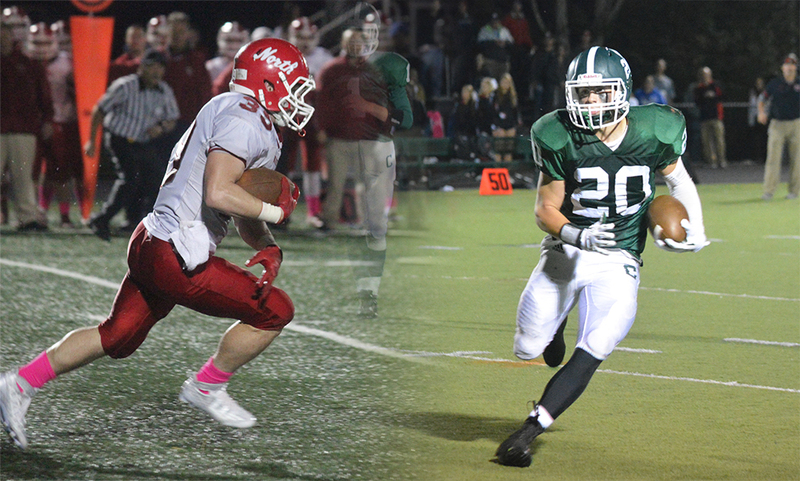 Mansfield (1-0) will be back in action on Friday when they host King Philip (0-1). Sharon (0-1) will look to bounce back when they host Stoughton (1-0) the same day.